In my time at Dal, I’ve witnessed tremendous change on our campus. Since 2007, enrollment in many programs has doubled. Entire new curricula have been enacted in our professional faculties. The names of the schools of Law and Management have been sold to the highest bidder. While many of these changes are welcome, I think it is time to put the brakes on one: growth. Dal has ambitiously grown the enrollment of our Halifax campuses, with a short-term target of 18,000 students. This has strained co-op programs, lecturers and our physical space. “Strain” is difficult to measure, so let’s put that aside and concentrate on something easy to measure: quality of recruitment and retention. In 2009, VP Student Services Bonnie Neumann informed the Dalhousie Student Union’s Council that our retention rate (the number of students who start at Dal and go on to complete their degree) was a paltry 82 per cent. In comparison, at Queen’s it is over 95 per cent. A low retention rate is indicative of a number of issues: quality of classroom education, preparedness of applicants, campus life and more. Similarly, many approved applicants opt to pursue an education at another institution, without ever coming to Dal. Dal needs to take steps to raise enrollment standards and recruitment so that within five years we have 95 per cent retention and 90 per cent acceptance of offers. Other steps can and should be taken to make Dal more desirable to applicants. I entered Dal with high standing in high school. I chose to defer my acceptance by a year in order to travel. The process was difficult, but somewhat justifiable. I was asked a number of questions on my reasons for deferring. There was a formal educational component to my year abroad, but there shouldn’t have to be in order to defer. I was led to believe that without high standing, deferral would not be an option. Contrast this with McGill, where acceptance is easy to defer (for up to two years) and scholarship offers are maintained. No questions asked. By making it easier to defer students’ acceptance, we can provide an opportunity for students to explore and discover themselves before entering the classroom environment. This will benefit the students in the classroom and help reduce the number of students whose wanderlust causes them to leave the institution. There is a growing risk with our current growth-focused mindset. The population of domestic students is shrinking. Foreign students are drawn from rapidly-developing countries, which will soon have the capacity to educate their own. If we are not careful, we could be left with a massive memorial to the current boom days. In order to support these goals, capital expenditures should be focused on enhancing existing space rather than adding capacity for even more students. With a hard cap of 18,000 students, we can make better decisions in our campus plan. High retention will reduce our need to recruit, ease the strain on first-year courses, and add capacity for upper-year students in residences. As we hold the line on total enrollment, standards for admission will need to rise. Less-qualified applicants will need to look elsewhere for their education. 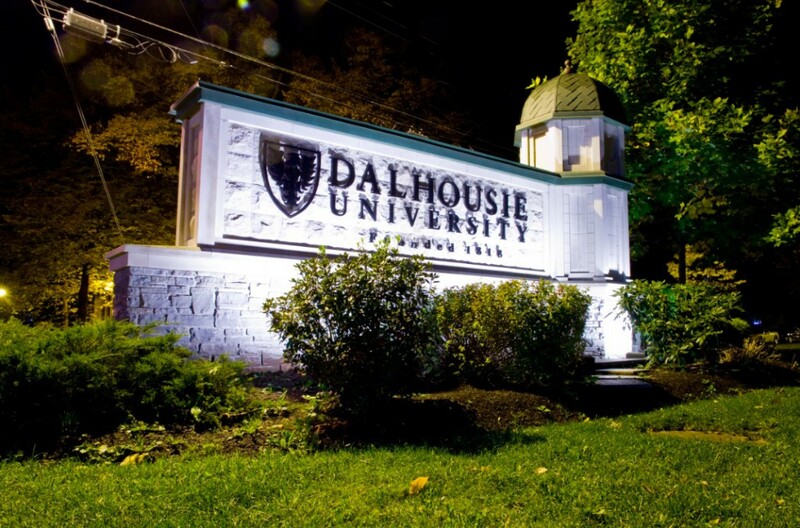 Dalhousie will be better off.